Bullet For My Valentine Share Dark New Video 'Letting You Go' - GENRE IS DEAD! Bullet For My Valentine have shared their dark music video for their new single “Letting You Go.” Directed by Stuart Birchall, the clip is filmed in black and white and is a performance piece mixed with a loose storyline, opening with the quote “In spite of the pain, we cling to the memory” attributed to anonymous. You can watch it below. Gravity will be the follow up to 2015’s Venom and marks the first album with new drummer Jason Bowld (Pitchshifter, Axewound) who has been touring with the band for the past two years when former drummer Michael “Moose” Thomas, sat out to spend time with his family. It also features bassist Jamie Mathias (Revoker) who joined the band after former bassist Jason “Jay” James was dismissed in 2015. You can pre-order your copy of Gravity here. 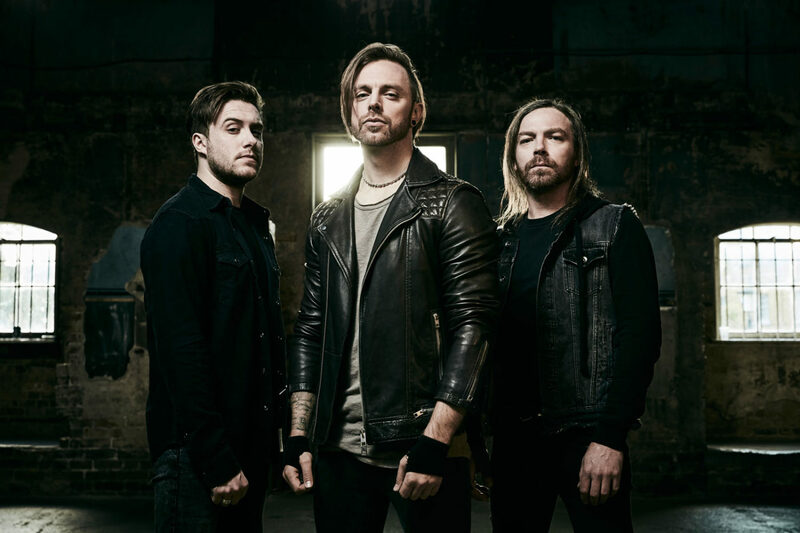 Bullet For My Valentine recently wrapped up their spring North American tour and will spend the summer playing various festivals including, Rockfest, Download Festival, Novarock Festival, Impact Festivals, and Riot Fest to name a few. They’ll return to the states for a string of fall shows starting in September. Find all their tour dates here. ← GENRE IS DEAD’s Releases Of The Week: Gorillaz, Hollywood Undead, Lily Allen and more!